Crowd walking towards the Celebration of Lights. I felt like I was in a movie. A zombie movie. Well, with more lively zombies. We got off the bus. 9:30pm. Downtown Vancouver. 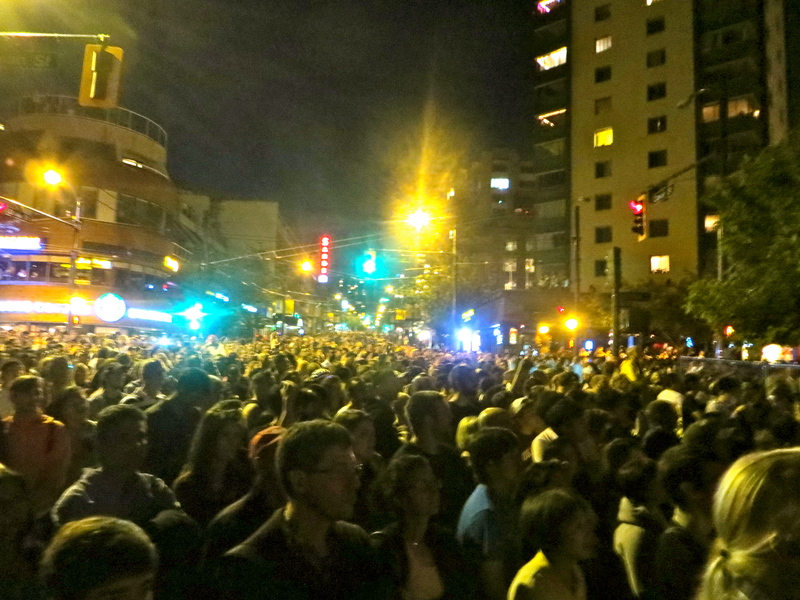 As we started walking towards Davie Street the crowd around us steadily increased with each intersection crossed. 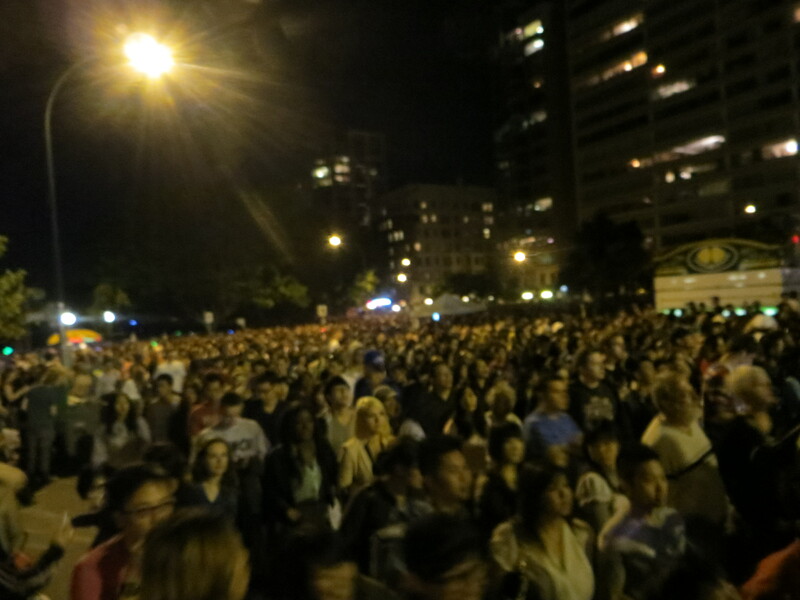 And as we turned right on Davie, we flowed into the stream of people walking on the blocked off road towards English Bay. 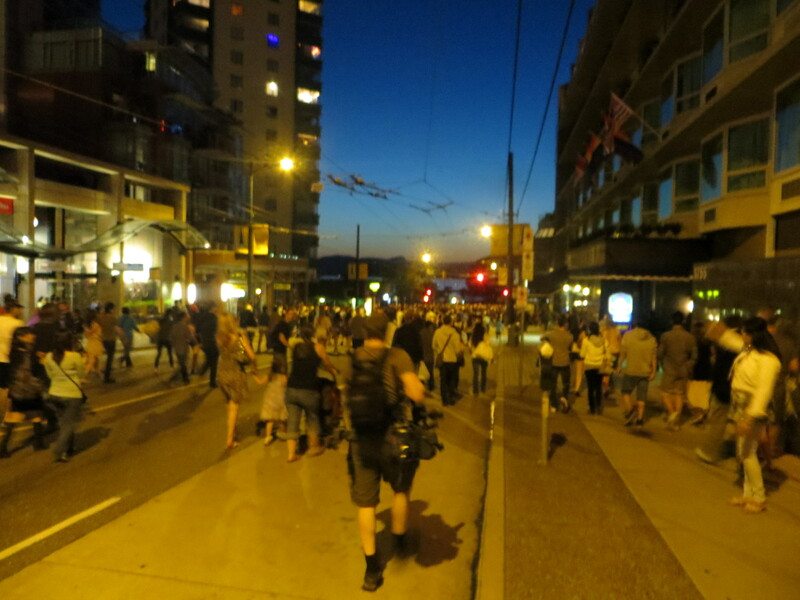 Everyone was walking zombie-like in the same direction, heading to the Celebration of Lights, the largest offshore fireworks competition in the world, right here in Vancouver! No wonder there was an estimated crowd of 300,000 people there. The approximate 300,000 people who gathered to watch the Celebration of Lights fireworks show. The crowd of approximately 300,000 at the Celebration of Lights 2012. 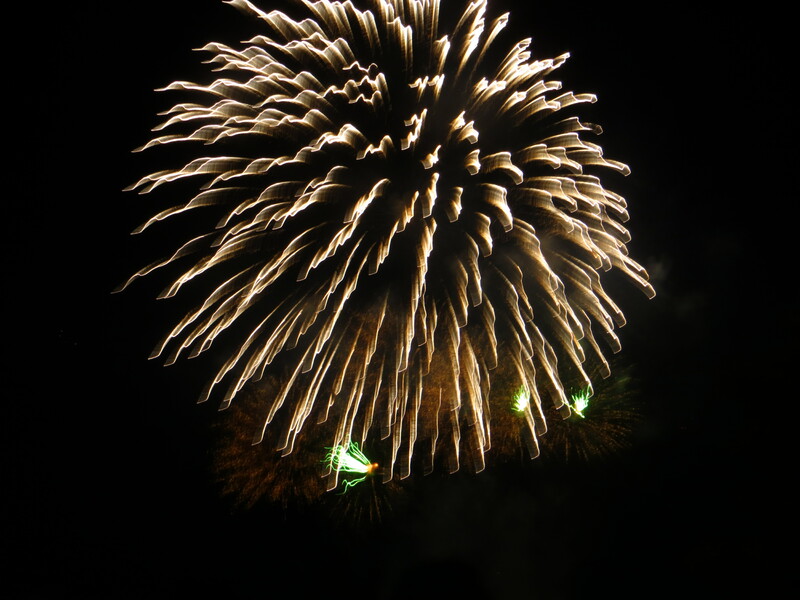 Vietnam held the first fireworks show of the competition. If you missed it, it was a wonderfully choreographed 25 minute show. The next show is today, August 1st presented by Brasil and the last show is on August 4th, showcasing Italy’s fireworks display. After the show, we grabbed a late dinner downtown which I would definitely recommend to avoid the crazy crowds trying to leave the Vancouver core all at once. Celebration of Lights is a great free event and if you want to make a full day out of it, check out all the activities and concerts happening around English Bay and Sunset Beach at www.hondacelebrationoflight.com.